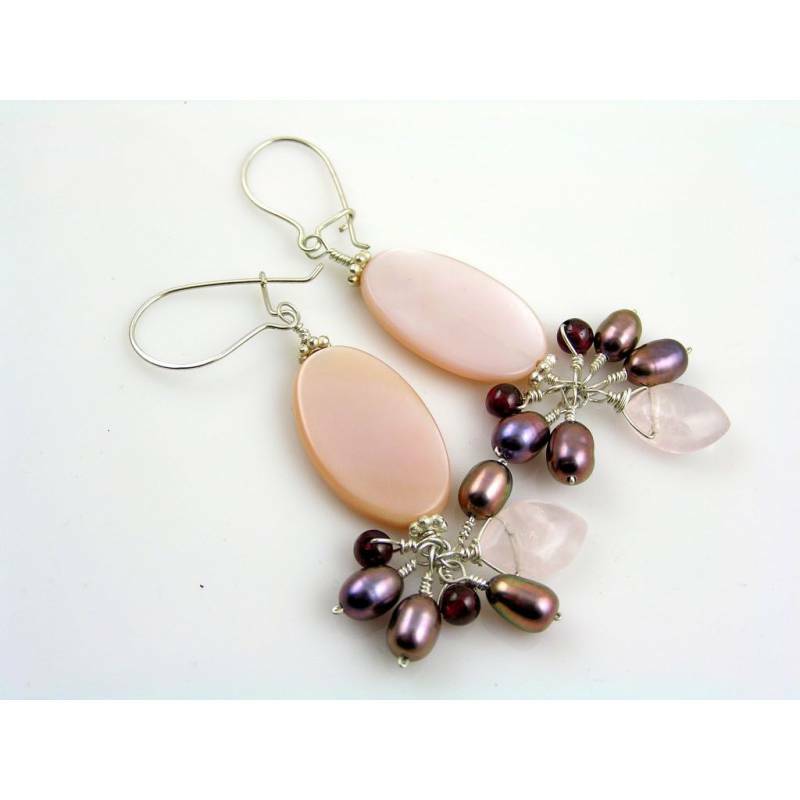 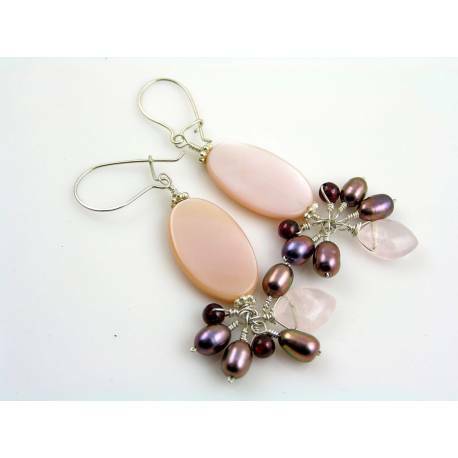 Soft pink colours in gorgeous natural gemstones. 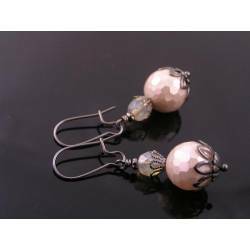 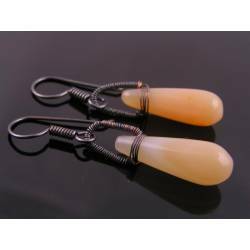 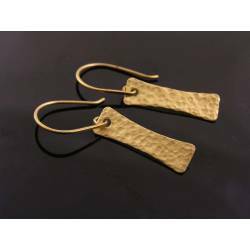 Large smooth oval pieces of mother-of-pearl are the main attraction of these earrings. 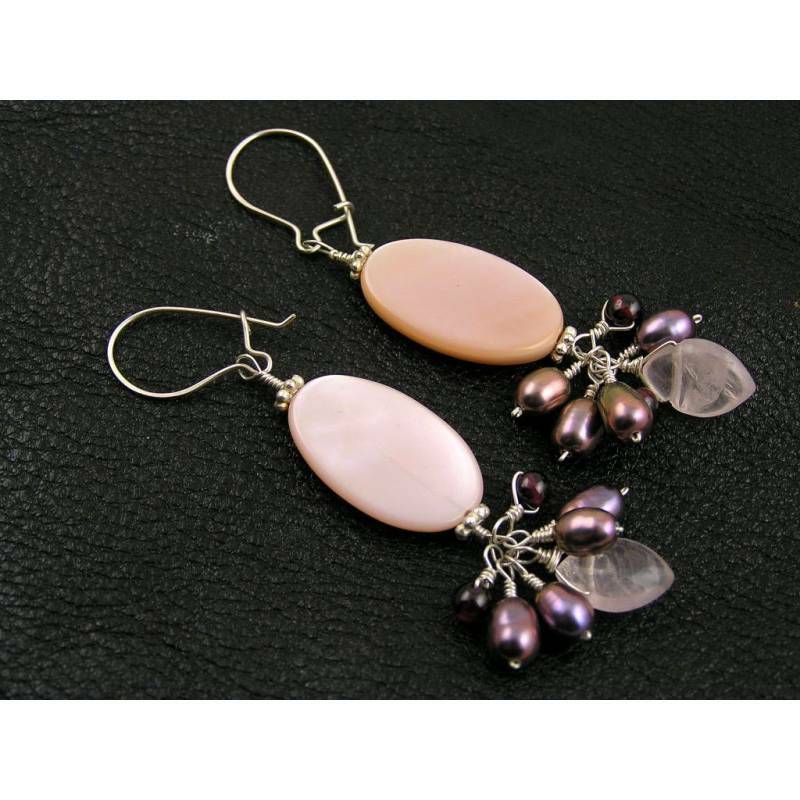 I have framed the ovals with little daisy spacers and attached a cluster of garnet, metallic mauve freshwater pearls and a smooth marquise shaped rose quartz drop. 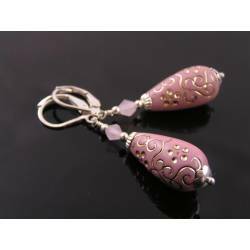 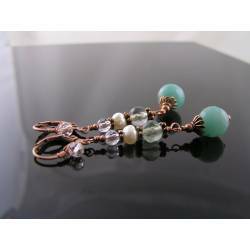 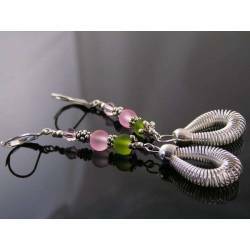 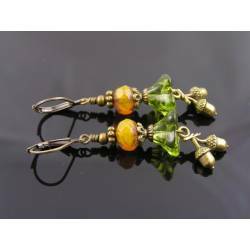 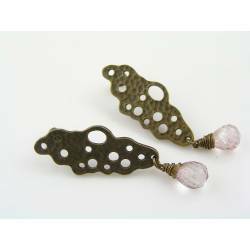 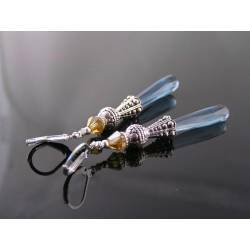 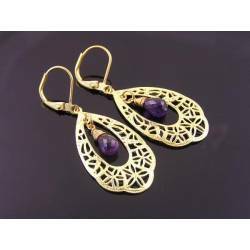 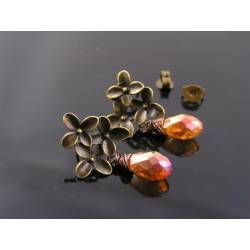 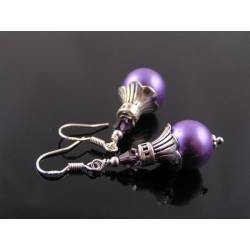 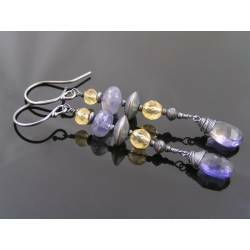 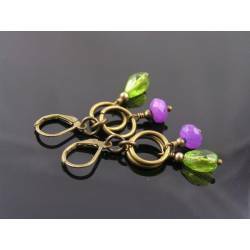 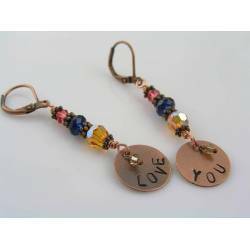 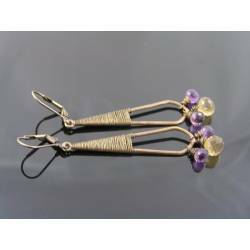 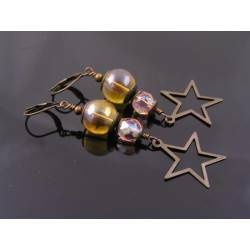 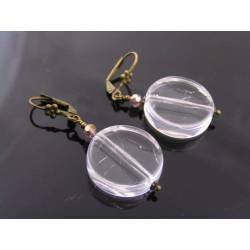 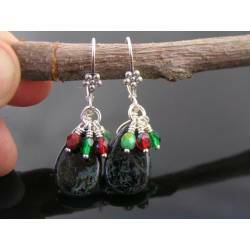 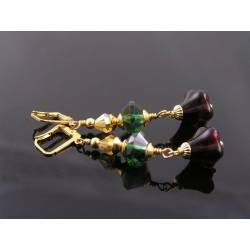 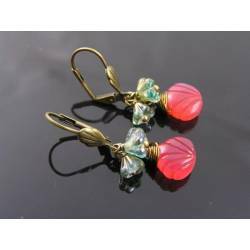 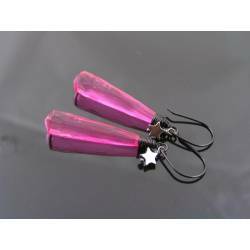 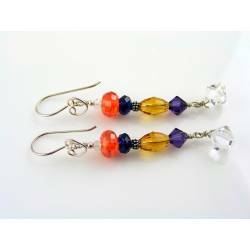 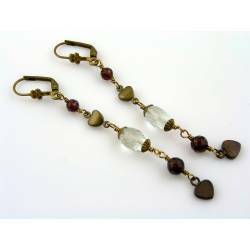 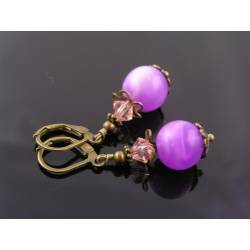 Total length of the earrings is 6.5cm, including the secure kidney ear wires. 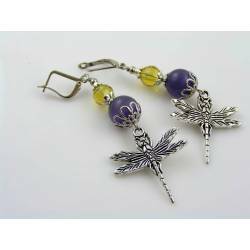 All metal is 1/40 silver filled, the ear wires are sterling silver.